Moisture-enhancing gel that can be used alone or under a moisturizer for maxim moisture. Key Ingredients: Hyaluronic acid is a natural humectant capable of retaining 1,000 times its own weight in water, making it an effective moisturizer. Vitamin B5 is essential for skin repair function, B5 is known to help with tissue repair. P.S. We ♡ B5 gel because it gives your skin an amazing glow with a slight plumping effect. We also like to use it with Clarisonic Opal (try it). 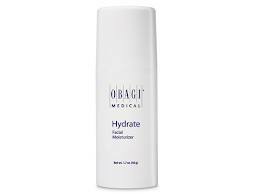 A light weight hydrating antioxidant serum that reduce mild acneic skin symptoms, calms,cools and soothes irritaded skin. Can be used alone or under a moisturizer. 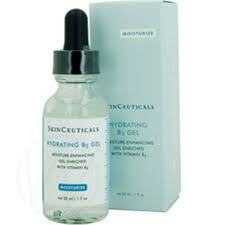 Hydrating serum that quickly hydrates skin, ideal for use in conjunction with drying dermatologic treatments. Rich, restorative moisturizer that absorbs evenly and quickly, ideal for high altitudes and cold or dry climates. Key Ingredients: Nutrient-rich algae extracts nourish and hydrate the skin. Grape seed oil, rose hip oil, and macadamia oil restore and maintain moisture. This lightweight moisturizer helps reduce the appearance of pore size and leaves a smooth, non-greasy finish. 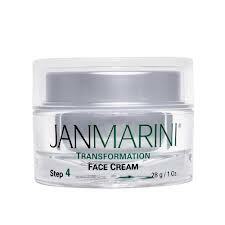 A mild moisturizing cream to be used as needed to soothe areas of dry, flaky skin. Will not irritate sensitive or post procedure skin. Can be used while on tretinoin (Retin-A) and after chemical peels. All-day moisture protection that is non-irritating, non-sensitizing, allergy tested, hypoallergenic and non-comedogenic. Key Ingredients: Hydromanil, a natural moisturizer derived from tara seed, known to retain water and gradually deliver moisture to the skin. Also includes shea butter, mango butter, avocado, and glycerin to help combat skin dryness. A light weight treatment moisturizer that is fortified to enhances the skin barrier function, accelerates repair, and reduces the apperance of skin discolorations. Key Ingredients: 5% Pro-Niacin which delivers niacin to the skin cells and enables healing from within helping the skin protect and repair itself from sun damage. Vitamin -A (retinal palmitate- promotes elasticity), Green Tea & Rosemary (antioxidants), Ceramides, Evening primrose & Wheat Germ Oils (moisturize), Peptide Complex ( reduce fine lines). Rich treatment cream delivers intense moisture while it brightens skin and reinforce skin to tighten and tone. * Pro- Niacin is based from niacin (vitamin B3) is a key factor in helping the skin protect and repair itself from sundamage. Designed to reduce the visible signs of aging, it keeps skin hydrated and induces a process of cellular regeneration and skin exfoliation. Key Ingredients: powerful healing antioxidants, Sodium Hyaluronate (Hyaluronic Acid), Retinol (Vitamin A), Pantothenic Acid (Vitamin B5), Willow Bark Extract (a source of Salicylic Acid), Centella Asiatica, Chamomile, Green Tea Extract, Licorice Extract, Bioflavenoids. 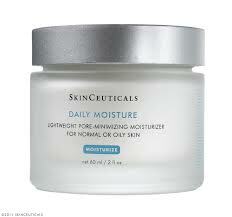 Light non-oily moisturizer that hydrates and conditions the skin without clogging pores. Rich moisturizing ceramide cream that helps to support epithelialization of post-procedure skin and rapidly restores skin’s barrier and moisture balance. *Human Fibroblast Conditioned Media (TNS®) is a physiologically balanced, naturally secreted and stabilized growth factors blend that helps improve the appearance of fine lines, wrinkles and overall skin tone and texture. Moisturizing Cream that assists in the rebuilding and repair of damaged cells while it leaves the skin with a silky-feeling surface. 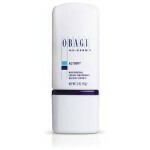 Highly moisturizing cream that assist in revitalizing and restoring skin suppleness and elasticity. It is designed to target changes in aging skin resulting from decreasing hormonal levels and cumulative sun exposure. Hydroquinone has been the gold standard for treating hyperpigmentation for over 50 years, but some confusion about hydroquinone has developed over the past few years. Common rumors include, hydroquinone has been banned or that it causes cancer. A lot of information found on the internet misrepresents hydroquinone by omitting some of the facts related to Hydroquinone studies and the FDA’s proposed rule. I personally use hydroquinone on my skin to treat melasma and hyperpigmentation. I love what hydroquinone does for my skin and I have not been able to duplicate the results with other skin lighteners, however health is always going to outweigh the benefit of beautiful skin. I certainly would not want to use anything that is unsafe, furthermore I consider my self an advocate for my clients. It is important that my clients feel confidant in my knowledge of skin care and even more important that they trust that I always have their best interest in mind. I have spent a lot of time educating my self on hydroquinone and I aim to clarify some of the confusion. Hydroquinone is an active ingredient used in topical creams and cosmetics as a depigmenting agent to treat skin discoloration such as melasma. Topical skin lightening creams containing Hydroquinone first became available in the United States in 1955. Hydroquinone has been described as a ubiquitous chemical, meaning it is something that we are exposed to as part of our daily life. Hydroquinone occurs in some plants as free hydroquinone or as arbutin. Arbutin (glucosylated hydroquinone) is found in the leaves and fruits of many plants that are used for food and bacteria in the intestines can transform it into hydroquinone. Hydroquinone and Arbutin can be found in foods such as cranberries, blueberries, pears, beans, broccoli, onions tea, coffee, beer, red wine, all-wheat bread and cereals (concentration may exceed 1%). Hydroquinone also has a number of other uses, it is used as an antioxidant for rubber, a reducing agent for photographic developing solutions, a stabalizer in paints and varnishes. It is also found in hair dyes and nail polish. The list goes on and on. Hydroquinone has been available as active ingredient for over 50 years and there have not been any reported cases of hydroquinone induced cancer in humans. There is also no evidence in human clinical studies to suggest that Hydroquinone could cause cancer in humans. It is suggested that additional studies are needed. What about the Rats? I have heard and read many times that hydroquinone causes cancer in rats, so I decided to read the study and reviews myself. The 2 year gavage study with hydroquinone, showed some Rats with end stage CPN developed cancer. The problem is that you need to read the full report and it’s reviews before you develop a conclusion. CPN is a renal disease that affects various strain of rats, but has no counterpart in humans. In a 2007 review, McGregor concluded that hydroquinone is carcinogenic only in the context of end-stage CPN, which is not relevant in humans. There is some debate over using rats in carcinogenicity studies, as test results may not be relevant to humans. It should be noted that certain strain of rats are prone to spontaneously develop tumors. There are two types of ochronosis, endogenous and exogenous. It is only exogenous ochronosis which can be induced by the topical application of compounds including hydroquinone as well as antimalarias, mercury, resorcinol and phenol. Exogenous ochronosis is a fairly rare type of dermatitis that needs to be diagnosed by a dermatologist. It is not known exactly how hydroquinone induces ochronosis but suggested factors include: sun exposre, long term use of hydroquinone, high concentrations of hydroquinone, other active derivatives and penetrating vehicles such as t-butyl alcohol, mercuric compounds, resorcinol and hydroalcoholic lotion. Exogenous ochronosis is believed to be a progressive disorder that likely develops over several years. No, hydroquinone was not “banned” in the US. Hydroquinone is available in concentrations of 2% or less over the counter (OTC), and concentrations over 2% (typically 4%) are available in prescription strength in the United States. To simply say Hydroquinone has been “banned” in other countries is something of a misrepresentation. First, we need to acknowledge that hydroquinone is an active ingredient available in prescription strength and over the counter (OTC) strength. I am not aware of any ban or proposed ban on prescription strength hydroquinone in any country. The confusion seems to come from the change in availability of over the counter (OTC) hydroquinone. In Japan and Australia hydroquinone is no longer available in cosmetics OTC (over the counter), it is only available as a prescription based ingredient. As part of a review of OTC products, the FDA published a proposed rule in 2006 to consider the withdraw of the 1982 rule that recommended hydroquinone be GRASE, because of evidence indicating that hydroquinone may act as a carcinogen in rats and mice after oral administration. It is argued that this is not relevant in humans, so the proposed rule recommended additional studies should be conducted to determine if there is a risk to humans. The FDA has yet to make a final ruling, but until then it’s still believed that hydroquinone should remain available as an OTC (over the counter) drug product. I have considered the facts, studies, reviews and opinions of medical professionals and have concluded that I will continue to use hydroquinone. I would not be concerned if my mom, best friend, husband or children were using hydroquinone. I feel very confidant in the efficacy and safety of hydroquinone. I will continue review and consider any new information and I will modify this post if my opinion changes. I have read hundreds of pages of studies, reviews, letters and other published literature on the subject of hydroquinone. I am not able to share everything I have learned, but I focused on some of the main points. I have included links to resources that are available on line, I encourage anyone who is concerned about hydroquinone to do thier own homework. I also recommend consulting with your doctor. If you are using hydroquinone, be sure to use a broad spectrum sunblock and give your skin a resting period from hydroquinone. For example: 3 months on and 3 months off. There have been reports of counterfeit beauty products and illegally imported skin care products containing mercury. I strongly discourage purchasing skin bleaching creams on-line. The safety of hydroquinone: a dermatologist’s response to the 2006 Federal Register. Pay attention! I am about to share the ultimate beauty secret, the secret to anti-aging. The desire to stay young and beautiful is a natural part of the human psyche and we are apparently willing to pay big bucks to achieve it. Americans spend billions of dollars each year on anti-aging products and services in a desperate search of the fountain of youth. Each new product we try offers a new opportunity to look younger, but they often prove to be nothing more than disappointment in a bottle. So… how can we avoid disappointment and achieve real results? The answer lies with a comprehensive approach. To understand the benefits of a comprehensive approach you should first try to grasp some of the basics of the aging face. 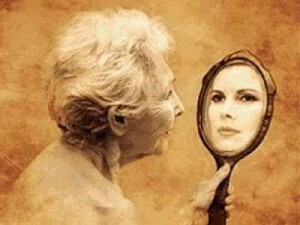 After all, if we do not understand the aging process how can we know how to prevent or correct it? What is a comprehensive approach to aesthetics in relation to the aging face? Comprehensive Aesthetics uses a variety of treatments and products to cover a large scope of issues associated with the aging face. Aging occurs on many levels of the face, including the bone structure, muscular level, fat or volume distribution and finally the dermal and epidermal levels of the skin. To achieve the most ideal results it is necessary to address the affects of aging at each level, in order to do this a variety of treatments are needed. We also can not ignore the effects of lifestyle and general health, as both play a major factor in aging. Aesthetics is a branch of philosophy or science pertaining to the nature of art and beauty. Aesthetic professionals are those whom are specially trained in the art of beauty. Utilizing a full team of medical aesthetic professionals, including a Plastic Surgeon, Dermatologist, Nurse Injector, Estheticians and Certified Laser Technicians, we are able to take advantage of an interdisciplinary collaboration. Each professional possess a special set of skills that contributes to a truly comprehensive approach toward an attractive, youthful face. Bone adds to the volume of the face and provides structural support to the other layers of facial tissue and skin. As we age there is a significant loss of facial bone which contributes to biometric volume loss. The bones that define your nose, and upper jaw and brow bone recede and the bones of the eye socket gradually widen. The jawbone also recedes and becomes less defined, reducing the angle of the lower jaw. Even the skull shrinks with age, further adding to excess facial skin. The loss of structural support creates noticeable changes in the other layers of tissue, simply put – when the bones that define your face recede your skin begins to droop. Bad news ladies, we begin to see bone loss as early as our 40’s, where men may not notice bone loss until their mid 60’s. Hormones can play a factor in bone density. As we age bone density can decrease, leading to diseases such as osteoporosis. Your doctor can help you monitor and address issues of bone density loss. Maintaining a healthy diet with enough calcium vitamin D and magnesium can also help prevent bone density loss. 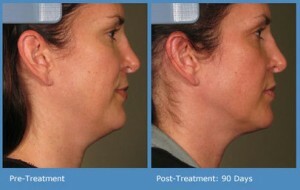 Once bone loss has occurred you can take action with aesthetic treatments. Injectable fillers such as Sculptra can add volume and support for a more youthful and defined face. Sculptra is injected below the skin to correct the effects of fat loss and natural age-related bone loss. A plastic surgeon can also strategically place fat into the face or use facial implants to make up for bone loss. Below the facial skin and fat, is muscle. The muscle and connective tissue add support to the overlying fat and skin of the face. 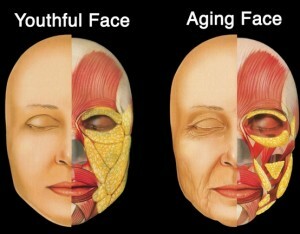 As our face ages the ligaments stretch and the supporting system begins to elongate causing the face to droop or sag. When the face is sagging due to muscle, this is usually the time for surgical intervention. 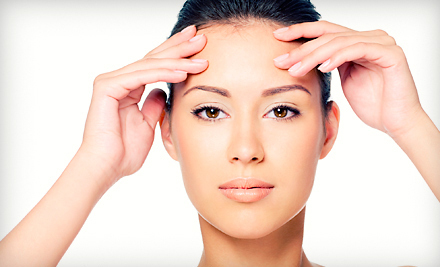 During a facelift the underlining muscles and tissues are lifted. If you are not ready for surgery, you may consider Ultherapy which does work at the top of the muscle (SMAS) and gives a modest non surgical lift. Keeping in mind that a non-surgical treatment will always provide a non-surgical result. Ultherapy will not remove excess skin or reposition fat pads, but it will tighten skin and provide a modest lift. 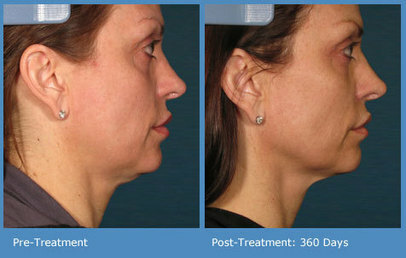 Ultherapy is perfect for early intervention and probably as good as it gets without surgery. Muscle contraction can also cause lines and wrinkles. The muscles we use to make expressions become etched in our face over time, this is most noticeable with the vertical lines between our brows commonly referred to as frown lines, as well as crows feet around the eyes and the lines across our forehead. At first these lines are only noticeable with facial movement, but with out preventative action they are constantly visible even without movement (this is referred to as wrinkles at rest). Botox or Dysport injections are used to treat the lines and wrinkles caused by muscle contraction. It is a good idea to consider these types of treatments early on to prevent the lines from becoming “permanent”. Once the lines and wrinkles have become permanently etched into the skin, fillers may be used to lift the area along with laser resurfacing to smooth the skin or in some more severe cases surgery may be recommended. A youthful face has the right amount of fat in the right places. As we age some areas of the face loose fat while others gain fat. The areas of fat also become farther apart and the fat pads appear as separate structures rather than a smooth continuous layer. Fat accumulation is often seen under the chin and along the jawline creating an undefined jawline and the dreaded jowls. 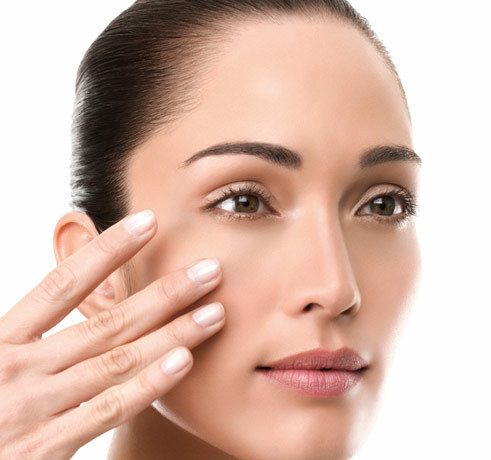 Bags under the eyes are also the result of fat accumulating in the wrong area. A plastic surgeon can perform a blepharoplasty to remove the fat bags under the eyes. The jowls and fat along the jawline can be corrected with a facelift as fat pads are repositioned, but if you are not ready for surgery fillers can be strategically injected to help contour the jawline. If you opt for fillers over surgery you may consider adding Ultherapy prior for a modest lift. Again…. a non-surgical treatment will never give a surgical result. During a facelift the underlining muscles and tissues are lifted, fat pads are repositioned, fat bags may be removed from under the eyes and volume may be added with fat injections as needed and excess skin is removed. The surface layer of the skin is generally the first place we begin to notice the effects of aging, most of us begin to notice the effects of aging on our skin in our 30’s. As we age our skin has a reduction in collagen production, elastin, hyaluronic acid and skin cell turnover begins to slow. Uneven melanin production and distribution causes dark spots and skin discolorations. We begin to notice more broken capillaries, changes in skin texture, thickness, elasticity and moisture. When we are treating these issues in the skin we must first consider what skin functions are involve and what layer of the skin the problem begins. The skin can be divided up into three basic layers Epidermis, Dermis and the Subcutaneous Layer (fat). When we talk about skin we are generally referring to the Epidermis and Dermis. 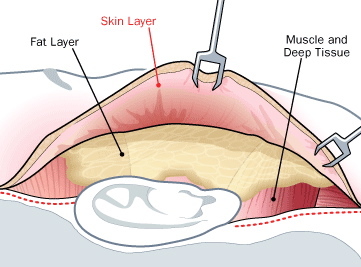 The Epidermis is the top layer of the skin and the Dermis is the deeper layer. The skin is constantly in a cycle of growth. The cycle of a skin cell is about six weeks, this is the time it takes for a new skin cell to rise to the surface of the skin and naturally slough off. As we age this process slows down and the dead skin cells begin to accumulate at the surface. When this happens the skin will have a dull appearance, rough texture, dark spots will become more dense and appear darker, and lines and wrinkles become more prominent. In addition to all of this, accumulation of skin cells can clog pores causing them to appear larger and lead to acne blemishes. The slowing of skin cell turnover begins in our 30’s, which is a good time to consider a medical based skin care regimen. Tretinoin (Retin-A), Laser and Chemical peels can stimulate skin cell turn over. As the skin cell turn over rate slows so does wound healing. After an injury the skin takes longer to reepithelialize, meaning the top most layer of skin (Stratum Corneum) is not quickly replaced. This is why many Doctors and Estheticians recommend preconditioning your skin before surgery or skin treatments. Collagen is important to youthful skin, but as we age collagen production slows down. Loss of collagen causes the dermal layer of skin to thin and reduces the skins ability to retain elasticity (from elastin) and moisture (from hyaluronic acid). This leads to the domino effect, as loss of elastin causes laxity in the skin and reduced hyaluronic acid which cause skin to be dryer, less supple and thinner. Professional chemical peels, laser and IPL treatments can help to stimulate collagen production. some treatments offer short term improvement in increased collagen production, treatments such as laser resurfacing and Ultherapy offer longer lasting effects. Beyond professional treatments, a skin care program that includes continuous use of Tretinoin (Retin-A), topical vitamin -C and full spectrum sunscreen will help with collagen production. Tretinoin (Retin-A) is an effective way to stimulate collagen synthesis. Vitamin C is nessacerry to produce collagen and it protects skin from both UVA and UVB, by neutralizing the UV rays. 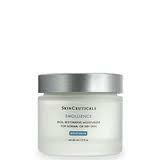 Sun exposure degrades collagen so it is essential to use a good sunblock daily. Another tip to prevent collagen loss add a topical Resveratrol to your night time skin regimen. A melanocyte is the cell that produces melanin (pigment), the melanin dispersed to keratinocytes, giving skin it’s color. As we age the cycle of melanin production and distribution becomes irregular. As we age there is a reduction in the number of melanocytes. After age 30 the number of melanocytes decline about 6-8% every ten years. As the number of melanocytes decrease skin will become lighter, less even and white spots or patches (hypopigmentation) can be seen. Browns spots and patches such as melasma, sunspots, age spots and freckles are known as hyperpigmentation. When a melanocyte produces more than normal amounts of melanin the result is hyperpigmentation. Furthermore the melanocyte doesn’t disperse the melanin evenly, so it is presented as dark spots or patches. Hormones and sun exposure are factors in even skin color. There are many professional skin treatments that address hyperpigmentation, including chemical peels and Photofacial (IPL) treatments, however daily skin care is most important. Daily sun protection is necessary, this is not optional! Products containing hydroquinone suppresses tyrosinase, the enzyme involved in creating melanin. Botanical (plant based) lighteners can also help to suppresses tyrosinase, however alone are less effective than hydroquinone. Tretinoin (Retin-A) is also important, as it will help with even distribution of melanin. As we age the structural wall of the capillaries (tiny blood vessels) break down which results in broken capillaries. Flushing, redness and broken capillaries are treated with Photofacial (IPL / BBL) and laser treatments. Vitamin C can also help to strengthen capillary walls, I recommend a healthy diet with enough vitamin-C and a daily topical vitamin -C serum. A sunblock with Zinc oxide can further help by blocking some of the heat that causes blood vessels to dilate. Our skin is a direct reflection of our health. All the skin care products and treatments in the world can only do so much, it is up to you to be proactive in maintaining your health. – Work with your physician to maintain your health. – Maintain a healthy diet with plenty of fruits and vegetables. – Exercise contributes to a healthy body and hormone levels. – Sun protection will go a long way to save your skin. – If you smoke, quit! 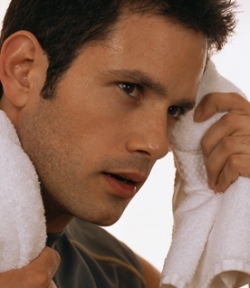 – Hormones play a role in the aging process. Ask your doctor to monitor your hormone levels and discuss treatment options. The Fiszz facial is the newest on the scene for red carpet celebrity facials. Also known as the Effervescence Facial, the Fiszz facial by iS, was first introduced to Hollywood celebrities during the award season. Four Seasons Hotel Los Angeles at Beverly Hills exclusivly gifted VIP guests attending the Grammy’s and the Academy Awards with iS skincare line by Innovative Skincare. Shapiro Aesthetic Plastic Surgery and Skin Klinic is excited to be the first in Arizona to offer the Fiszz Facial. The FisZZ is a luxuriously effective facial designed to hydrate, sooth, brighten and purify skin instantly while taking you on a journey of fantastic sensations. The FisZZ Facial begins with a delicious honey & papaya enzyme cleansing masque that gently warms as it is massaged onto the skin, followed by a citrus & rosemary clarifying mud masque that opens the skin’s pores, gently drawing out impurities. This uniquely formulated mud masque optimizes moisture levels in the skin, while it brightens skin tone, protects against oxidative damage, provides anti-inflammatory protection and encourages healthy cellular metabolism. The highlight of the FisZZ facial is the patented effervescent Citric Acid resurfacing masque that exfoliates & smoothes while providing a (fizzy) champagne-like sensation. A refreshing copper firming mist aids in collagen production, this innovative mist includes emollients to protect skin moisture, saponins which stimulate healthy immunity and herbal components which lessen age-related puffiness. The facial is completed the the application of topical serums, moisturizer and sun protection selected specifically for your skin type. Ultherapy is a new type of non-surgical, non-invasive procedure for the face that uses ultrasound and the body’s own natural healing process to lift, tone, and tighten loose skin. Ultherapy is the latest buzz in beauty, it has been featured on shows like 20/20 with Barbara Walters, Dr OZ, The Doctors, Today Show, Rachel Ray, Good Morning America and The View. 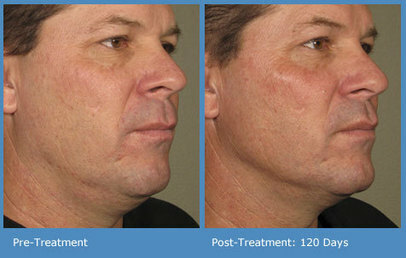 Ultherapy is a very exciting advancement to those of us in the world of aesthetics for several reasons. First, we are talking about LIFTING and TIGHTENING, not just tightening. 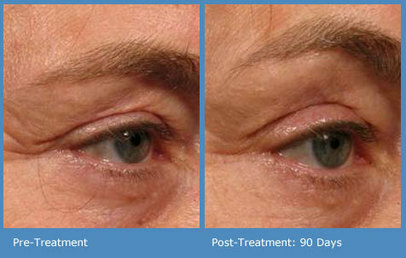 An Ultherapy treatment tightens the skin and gives the face a vertical lift. Just incase you missed that, I said “LIFT”! Ultherapy uses ultrasound imaging and ultrasound energy. The ultrasound imaging allows us to see exactly where we are treating. We are able to be very specific in where the ultrasound “energy” or Thermal Coagulation Points are delivered in the skin. The most exciting thing is the depth we are able to treat. Ultherapy is the only non-invasive treatment that can specifically target the deep foundation below the skin that is addressed in cosmetic surgery without cutting or disrupting the surface of the skin. I can’t forget to mention that there is NO down time, which is very convient for those who can’t spare the time to recover from surgery. To achieve skin tightening you need to target the skin at a fairly deep level, the dermis and superficial muscle. Procedures that treat the epidermis will not tighten or lift the skin. The Ulthera works at three separate levels, the upper dermis, lower dermis and the SMAS/ Platisma. The area where the facial muscles are connected to the dermis is refered to as the (SMAS). This superficial muscle is something that would be addressed by a facial plastic surgeon during a facelift to reduce the appearance of sagging jowls, cheeks and neck skin. With the Ulthera we are able to address this area without surgery. With the Ulthera the “energy” is delivered in a very specific way. This is important because in the past if we wanted to tighten the skin we were mostly limited to devices that use Radiofrequency (RF). Radiofrequency works by delivering heat ( volumetric heating ) deep into the skin to stimulate collagen production and tighten skin. The challenge with RF devices is that they are not very specific. Unlike lasers, RF devices do not precisely reach targeted areas and they are not absorbed by a specific chromophore. Simply put, radiofrequency does not know where to go on it’s own, so it is not as precise as Ulthera or laser treatments. Lasers on the other hand are very precise, they use a single wavelength to target specific chromophores at specific depths of the skin (selective heating). Lasers however do not reach the necessary depth in the skin to achieve skin tightening or lifting. Lasers are not used specifically for tightening, they are more appropriate for treating skin discoloration, vascular lesions, unwanted hair, tattoo removal, acne treatments, peeling and resurfacing treatments to treat scars, lines and wrinkles. Ulthera is in a class all it’s own, it uses (focused ultrasound heating) to precisely target the deep structural support layers of the skin. Ultherapy will addresses mild to moderate loose or sagging skin, by tightening and gradually lifting the skin. After your treatment there are not any special post treatment instructions or down time. The results will unfold over the course of 2-3 months and some patients have reported continued improvement for up to 6 months. As impressive as the results are, you should always have realistic expectations. You will not achieve surgical results with a non-surgical treatment . 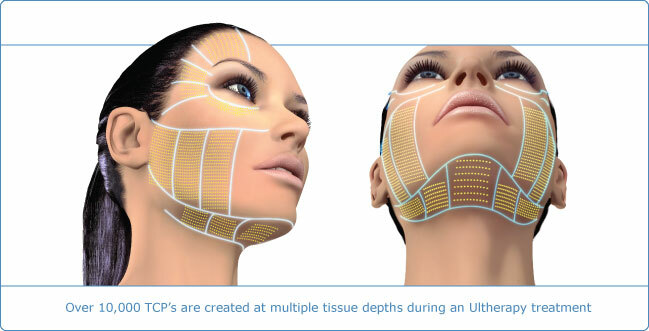 If you are interested in learning more about Ultherapy call Shapiro Aesthetic Plastic Surgery and Skin Klinic to schedule a consultation. The Player Facial: Prepare to get your game face on! Medical Estheticians Kristy Harris and Stephanie Willis have added a high performance skin treatment to the playbook. Acne blemishes are a skin violation, that can leave even the hottest player on the sidelines and the “Player Facial” is the official clear skin treatment. We kick things off with Blue Light RF acne treatment. Intense Pulsed Blue Light teams up with RF energy to defeat acne causing bacteria and shrink oil glands. 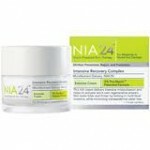 The next step is a deep pore cleansing treatment followed up with a treatment mask designed to battle acne breakouts. 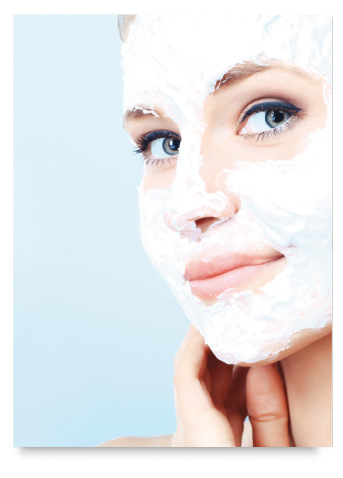 Then a microdermabrasion treatment will remove dead skin cells that threaten to block pores. In this skin treatment we will extract acne pimples and black heads, followed with a pass of high frequency to ensure quick skin healing. Finally, a Cryo-Slushy is made at the time of treatment and gently swiped over treated skin, to work against acne causing bacteria, tighten pores, reduce inflammation and enhance skin exfoliation. 90 minutes $225 * Gratuity not included. Recommended For: Normal-oily and acne prone skin. Not recommended for anyone that is pregnant, on actuate or severe cystic acne. High Frequency is a tool that is used by Estheticians in facials and skin treatments. It is often used to treat or prevent acne skin lesions, as well as aid in healing. It is especially useful after acne extractions. If you have ever had a facial, there is a good chance your facialist used a hand held high frequency device to treat your skin. High frequency uses a violet ray, however when it is passed through a neon gas the light will appear as red or orange. The mild oscillating electrical current passes through the glass electrode to the skin for a thermal effect. The method most commonly used by skin professional is known as the “direct current application”, where the electrode is applied directly to the skin or over a mask. When treating an acne lesion, your esthetician may also use a technique known as “sparking”, this is when the high frequency is held slightly away from the skin to create a gentle spark. Both methods are gentle and painless. The high frequency increases blood circulation and the dilation of underlying vessels also helps to eliminate toxins. When applied directly high frequency has a germicidal action, fighting acne-causing bacteria. Treatments only take a few minutes and are usually added into a facial or other skin treatments. High Frequency skin treatments are very gentle, many clients even find it relaxing. 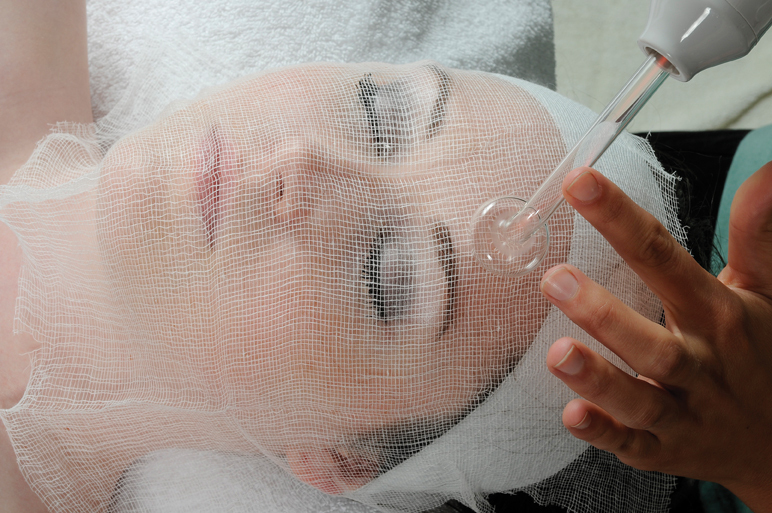 Cryotherapy, also known as acne slush, has been used in dermatology for over 25 years. This dry ice treatment helps reduce acne, acne scars and shrink pores. Cryotherapy uses a cryogen or dry ice “snow ball” that is created at the time of treatment. Liquid Co2 is made into a snow ball and wrapped in gauze or cheese cloth and then dipped into acetone to create a slush. The slush is then lightly swiped over the treated areas. Cryotherapy has anti-bacterial and anti-inflamatory properties making it ideal for acne prone skin. Cryotherapy can be done alone to treat acne, as often as once a week. Cryotherapy is known to cause mild exfoliation, so a “cryo-slushy” is often added to skin treatments like chemical peels to enhance results. Warning – Cryogen treatments need to be done in a medical setting. Never try to do a cryogen treatment yourself at home, dry ice/ cryogen can severely burn skin. Skin professionals have special tools and training for handling cryogen. Cryotherapy is also called Co2 slush, cryoslush, cryo-slushy, crytherapy, cryogenic therapy and acne slush. It seems as if everyone that walks into the clinic is concerned with clogged pores. There is only so much a skin profesional can do when we only treat your skin every 4 weeks for a one or two hour treatment, espesially if you don’t want to look completly beat up. I always recomend that clients maintain their skin at home with proper cleansing and exfoliating between profesional treatments. You can exfoliate daily with topical products that contain AHA’s and use your Clarisonic cleansing brush daily. Clarisonic designed a deep pore cleansing brush head that can be used with any of the Clarisonic brushes. If you are not yet familiar with the Clarisonic Skin Cleansing System, it is a cleansing brush that uses sonic frequency of more than 300 movements per second to gently, yet thoroughly remove 6X more makeup and 2X more dirt and oil than cleansing with your hands alone. Other cleansing brushes that simply rotate do not work the same way the same way as Clarisonic’s brush does with it’s oscillating bristles. As if the sonic frequency, oscillating movement wasn’t impressive enough the Deep Pore Cleansing Brush Head uses an advanced dual-action motion to clean hard-to-reach areas. There are several brush head options that can be used with your Clarisonic, the Deep Pore brush head is recognised by it’s blue inner bristles. The Deep Pore brush head is ideal for oily and acne prone skin, however anyone who is concerned with cleaning the pores can also use it. If you have large pores, then this is an absolute skin must have! The brush head will run you around $25. each and it is recommended that you replace brush heads every 3-4 months. 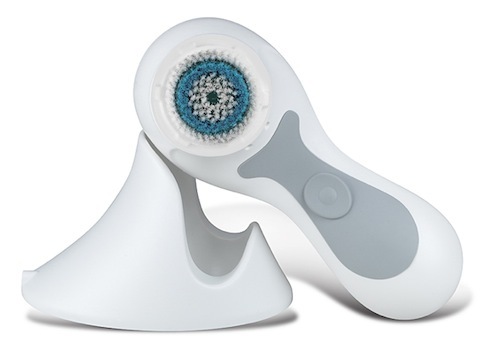 The Clarisonic Sonic Cleansing Brush is $195. and comes with a starter brush head.